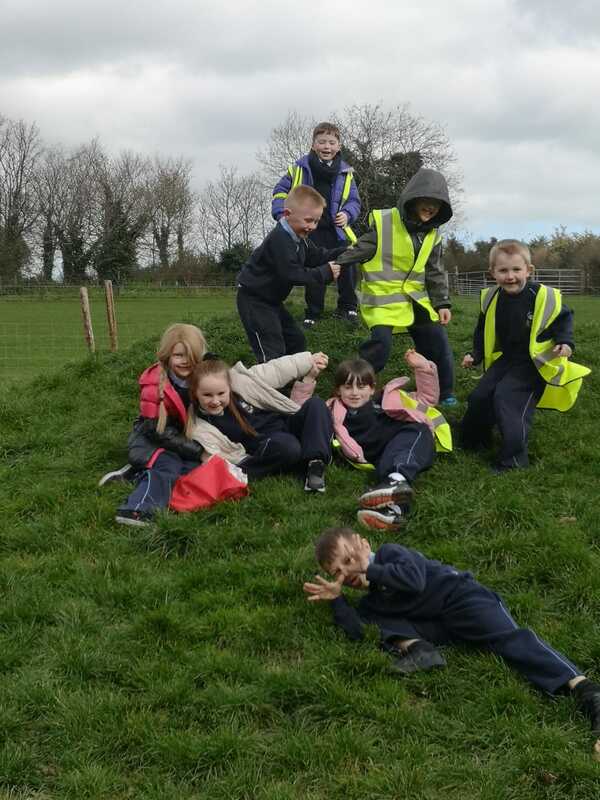 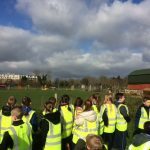 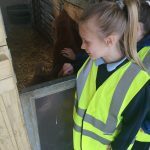 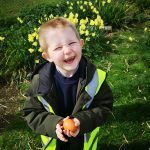 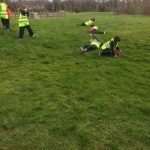 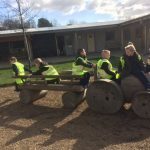 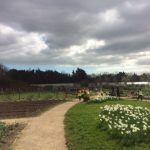 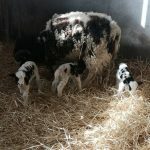 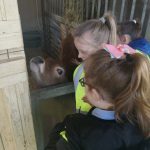 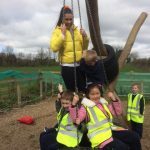 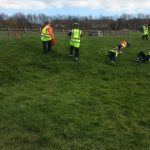 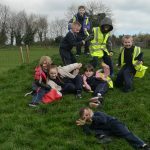 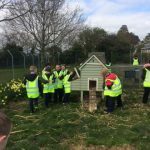 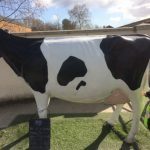 The first and second classes together with their teachers went to Airfield farm and gardens in Dundrum on Monday 25th March . 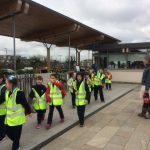 There was great excitement boarding the luas and the children were excellently behaved on it , making friends with the passengers as well as the revenue protection officers!! 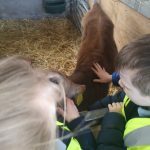 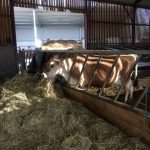 They saw the cows being milked and the pigs and new lambs. 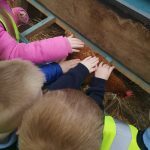 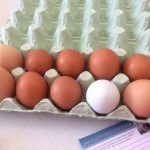 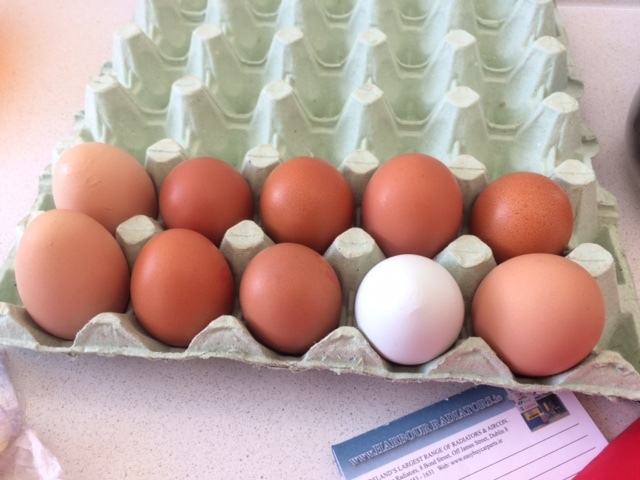 Then they went into the hen area and collected the eggs. 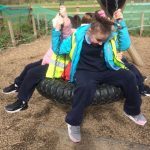 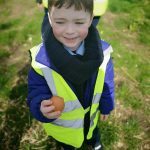 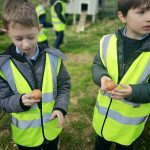 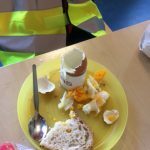 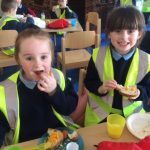 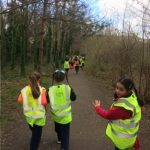 After that , we all had delicious hard boiled eggs and bread for a snack before a Luas safety talk and a wonderful time spent exploring the outdoors and the naturescape play areas.